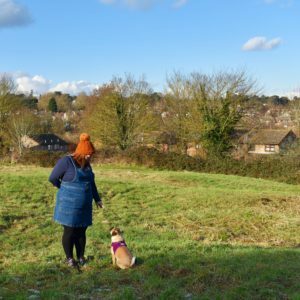 The boy recently turned four and he’s very much into anything gross at the moment. 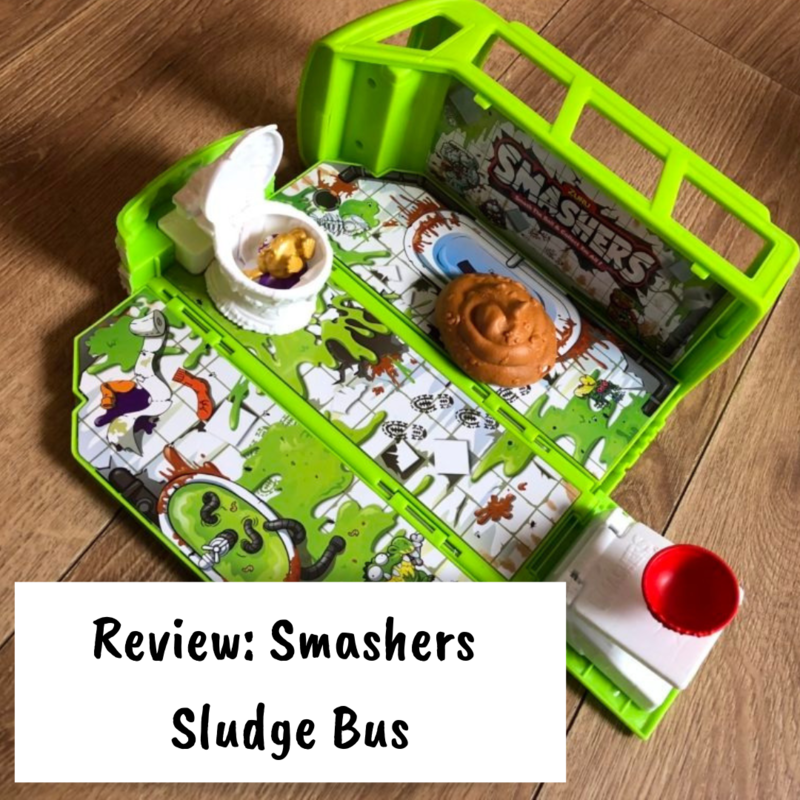 Life is all poo, wee and slime so it seemed apt to review a Smasher Sludge Bus which is a little bit of all those things. 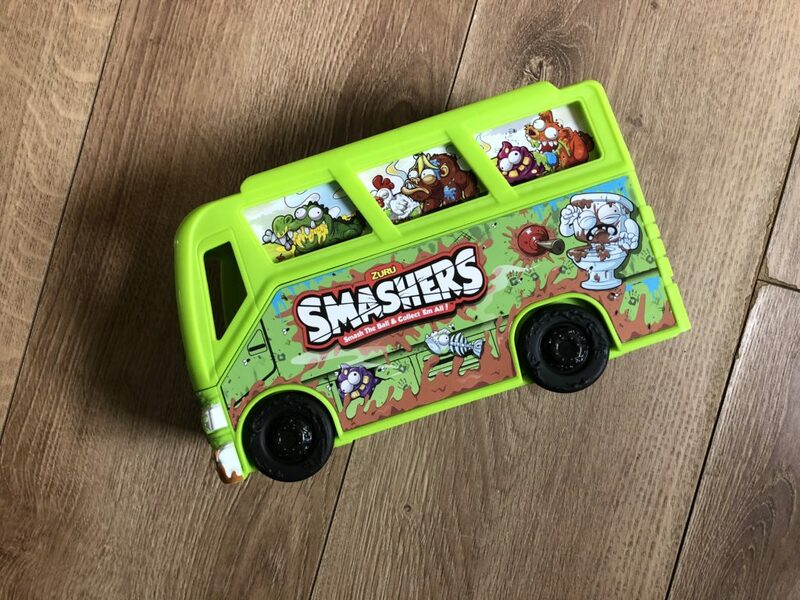 He loves the Smashers(see review here), which are little eyeballs with gross themed collectable figures inside and the Sludge Bus is the perfect way to keep them all together. The Sludge Bus is a green bus that comes with two exclusive Smashers and holds up to 50 of your Smasher characters. 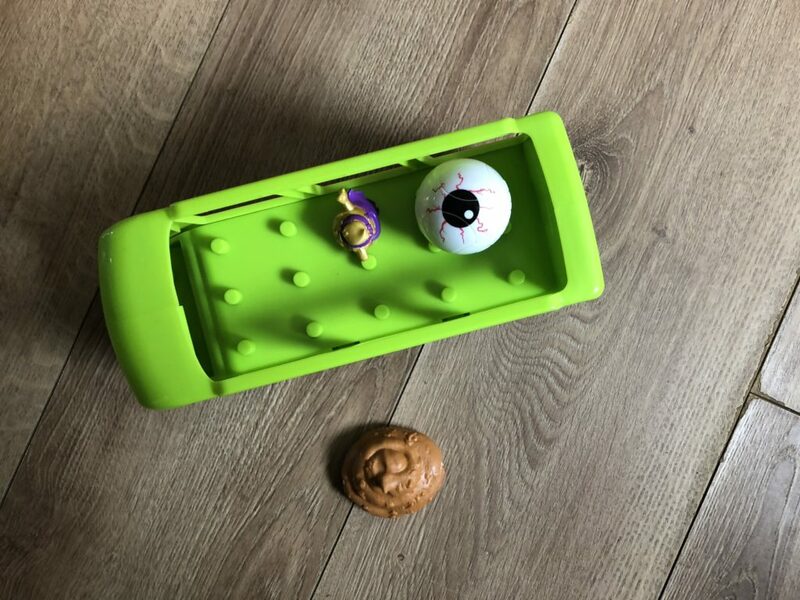 It can be wheeled around like a bus and opened out into a sludgy bathroom where you can catapult your eyeballs into the toilet to smash them. 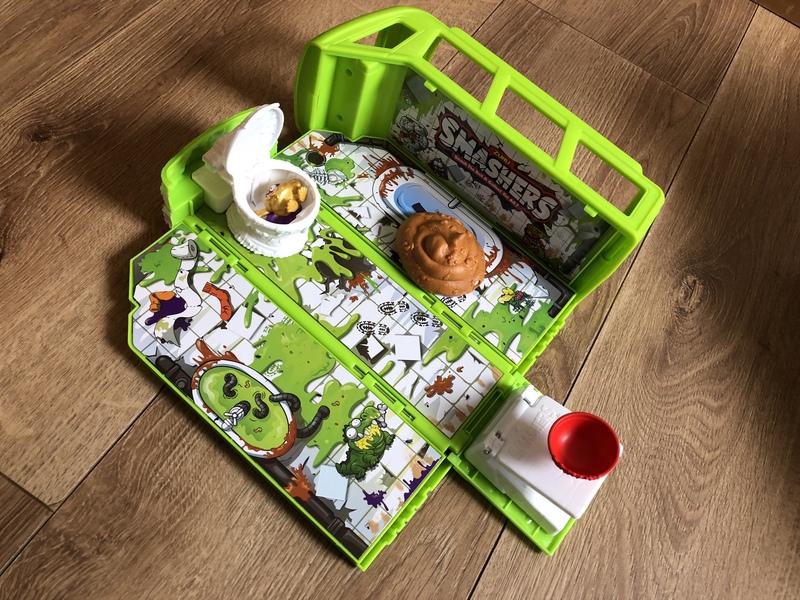 It’s really well made – sturdy and good fun for a little man who giggled for ages that the bus has a hidden toilet! It’s also a good idea to store the characters in as they tend to get lost under the sofa quite easily. 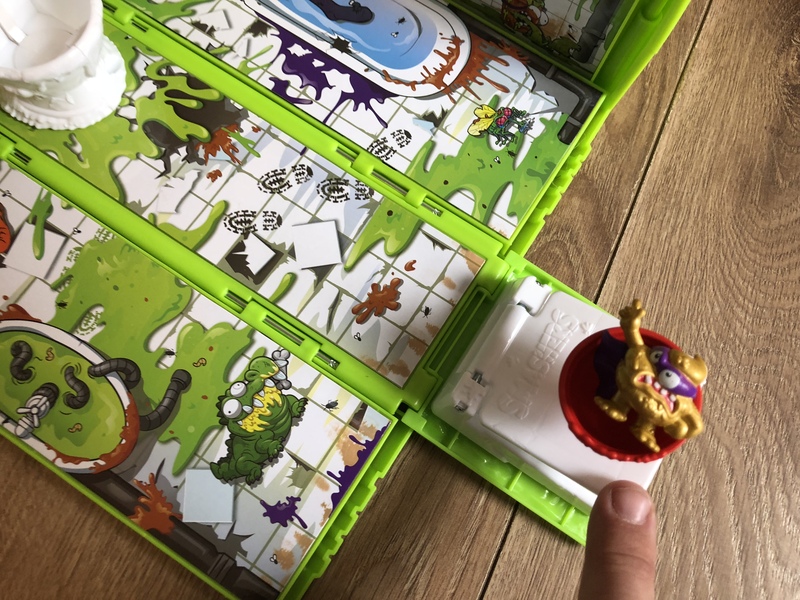 It’s recommended for ages 5 and over but says not for under 3’s due to small parts. My little man loves cars and anything with wheels so this is an ideal gift for him and he loves wheeling it around and sitting his Smashers up top. 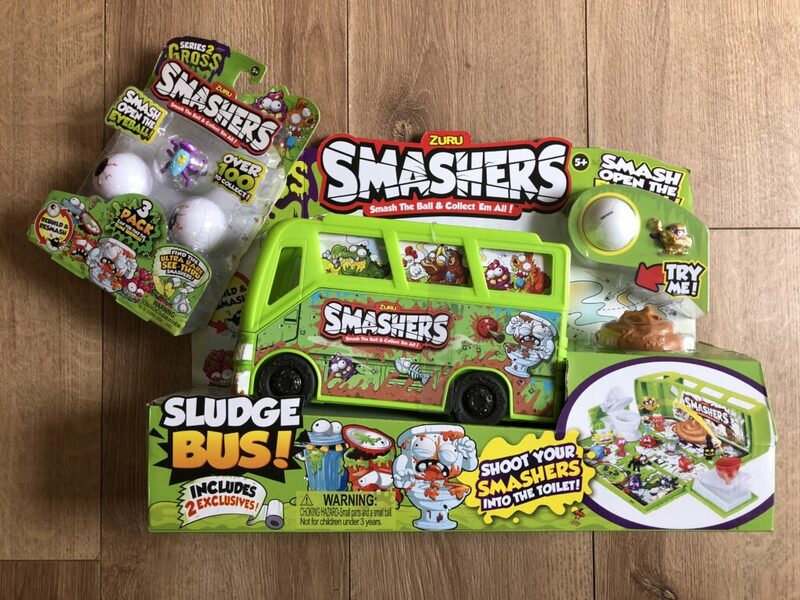 The Smashers Sludge Bus is £24.99 and is available online and in high street stores such as Argos, Amazon UK and The Entertainer.